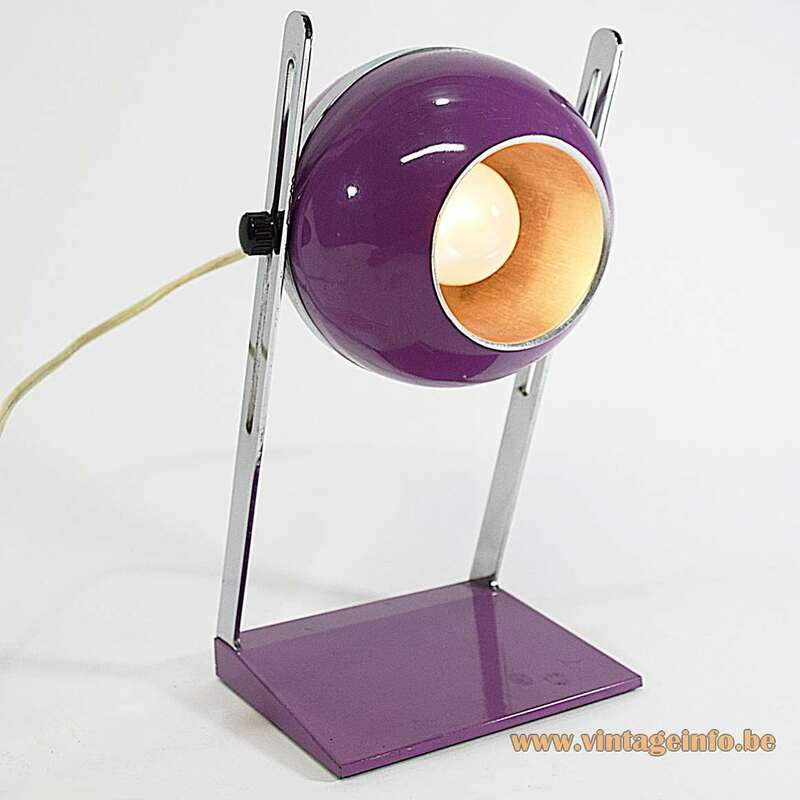 Materials: Purple/eggplant painted aluminium eyeball globe spotlight. Aluminium reflector inside, adjustable. 2 chromed metal (iron) slats. Rectangular purple aluminium base, iron inside. 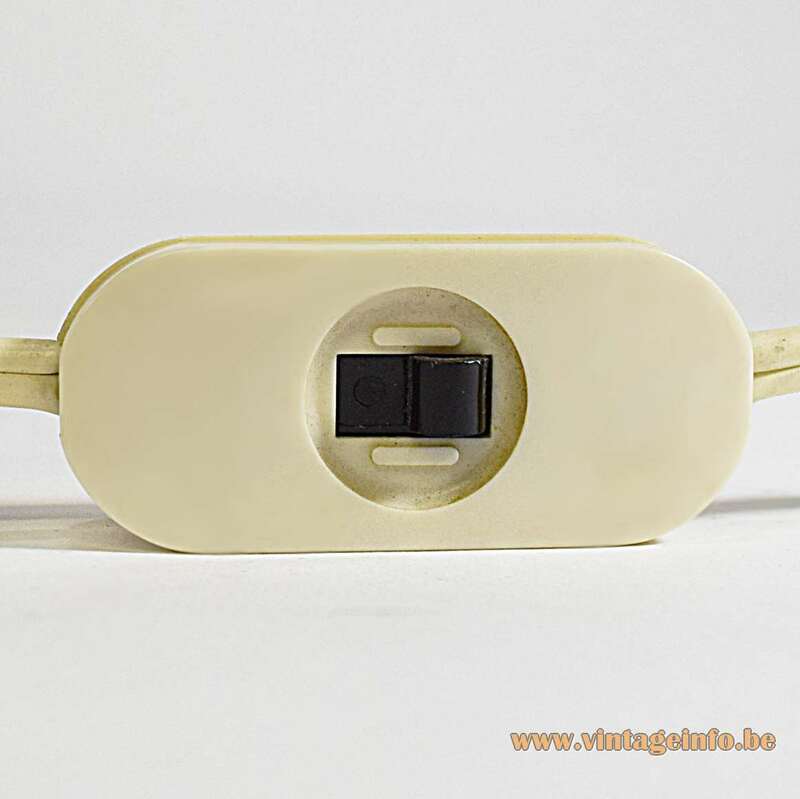 Bakelite socket. 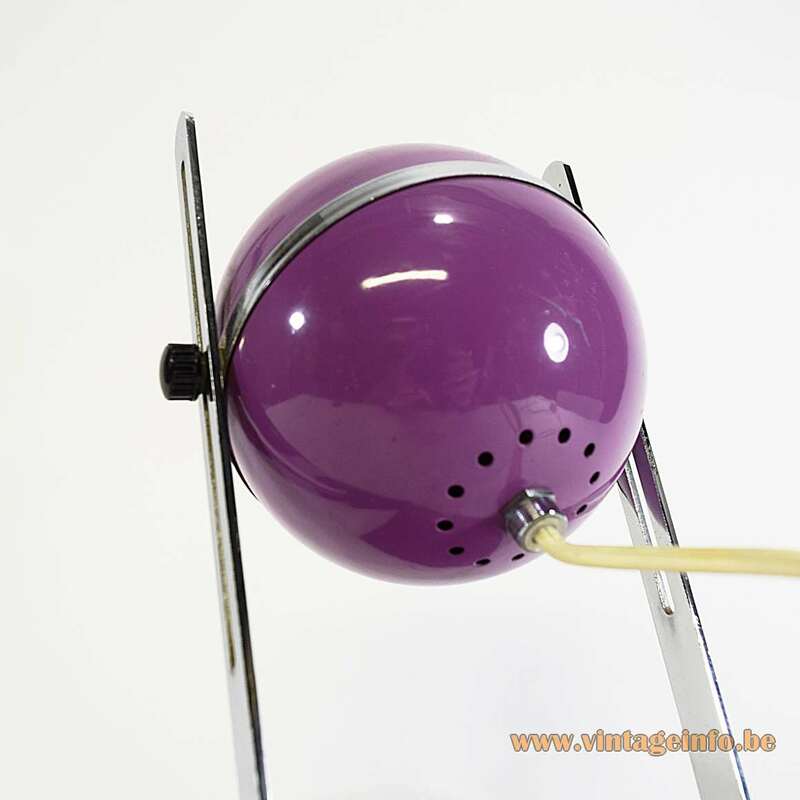 Other versions: Made in many models and colours. 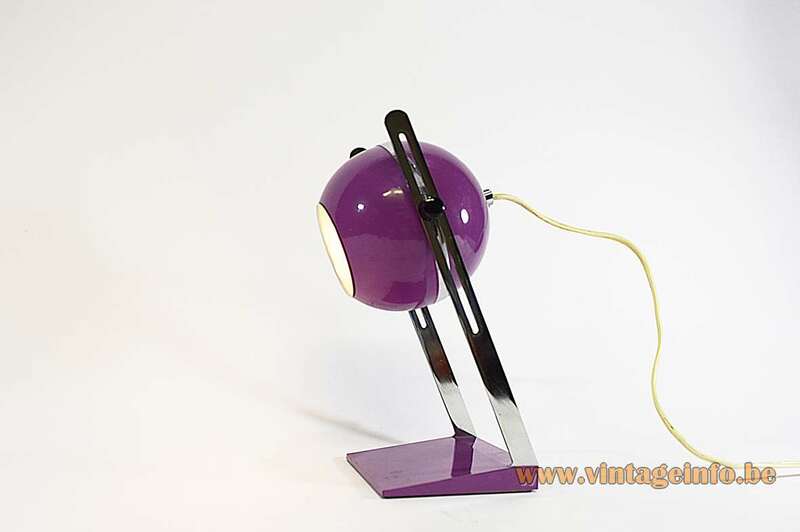 These table lamps or desk lamps are often attributed to Gepo, Anvia and Herda, 3 lamp producers from the Netherlands. 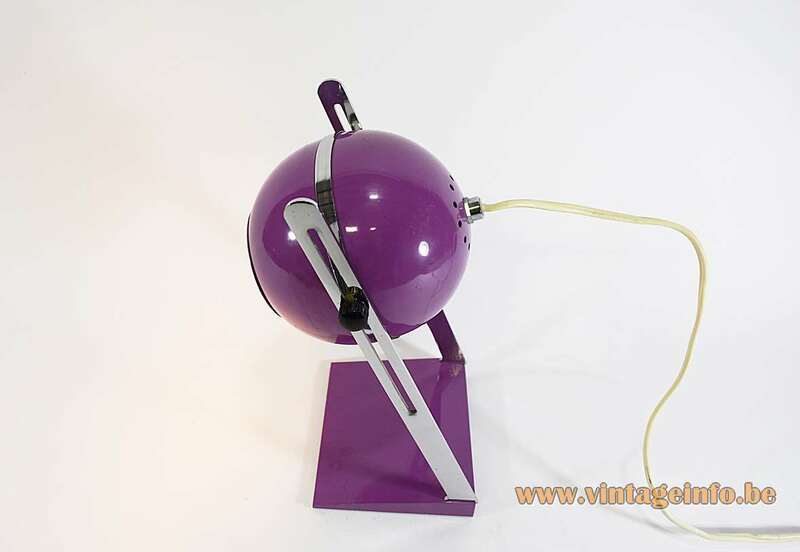 However, these lamps were never made or sold by these companies. 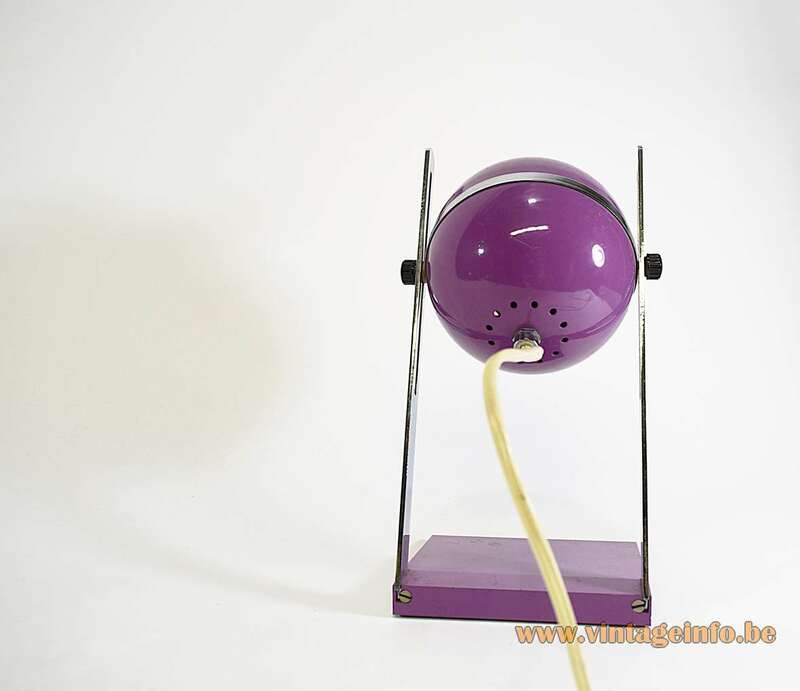 Elma is a Yugoslavian electrical device company. 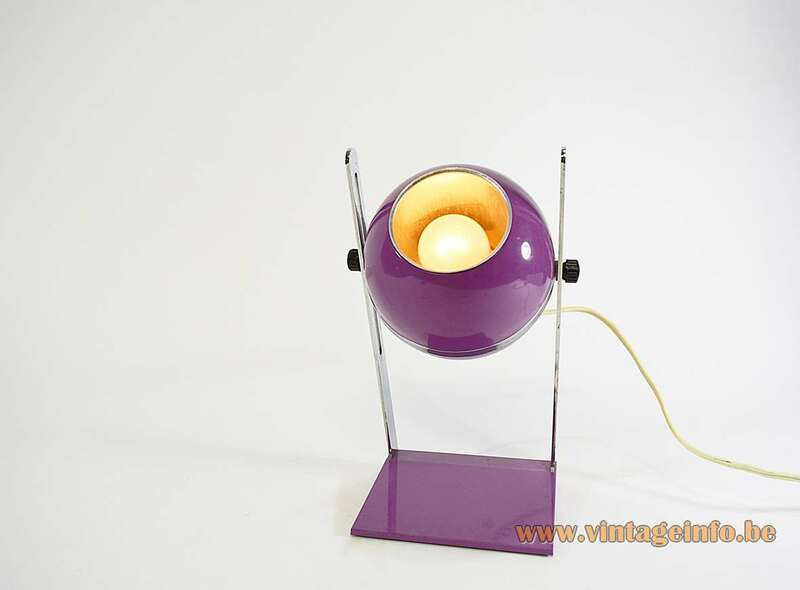 They produced electrical household appliances and lights from a high quality and design. Elma is located in Ljubljana, Slovenia. Today they produce transformers and relays. The ELMA TT company is consist of 4 companies based in Germany, Austria, Slovenia and Serbia. All the electric parts are made by VLM Components from Buccinasco near Milan in Italy. 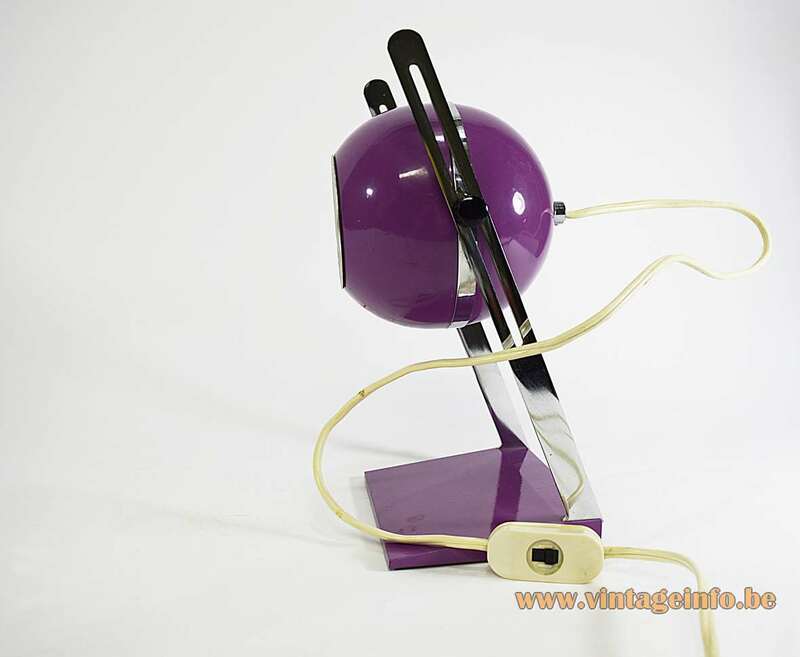 This lamp has a rare seen version of a switch designed by Achille Castiglioni (1918 – 2002); the VLM 450 switch, made in white and black. VLM Components was founded in 1945 in Buccinasco, a small village near Milan, Italy. VLM is part of the Relco Group, founded in 1967. Today they are the owners of the brands Relco, Leuci, Relco Lighting, VLM and Segno.